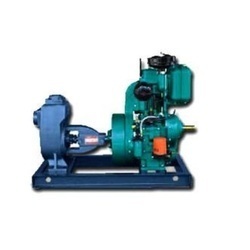 U. D. Patel & Co.
We are a unique entity in this industry, actively engaged in offering a premium quality array of Diesel Engine Water Pumpset. IMA Diesel engine pumpset (Petter Type) is water and air cooled. Our air cooled diesel pump set and water cooled diesel pump set varies, Mini 3 to 5 HP direct coupled. more..